A long running road safety show which has helped inform generations of young people across Grampian is looking for sponsors to help it continue in 2018. Safe Drive Stay Alive has been attended by all senior school pupils in the north-east of Scotland for the last 13 years. The hard-hitting stage show features real life testimony from the emergency services who regularly deal with road collisions and from members of the public whose lives have been affected by road collisions in an extreme and profound way. It leaves a lasting impression on all who see it, with the intention of cutting the level of death and injury which is seen on local roads. Tens of thousands of young people about to learn to drive, or who have already passed their test, have benefitted from support by sponsors over the years. Nexen Petroleum UK are the only confirmed sponsor of the 2018 show. Nexen has been the main sponsor in previous years, however to ensure the event can continue this year Safe Drive Stay Alive would like to hear from other community-minded businesses or individuals. Nexen’s UK Managing Director, Ray Riddoch, said: “At Nexen, we put Safety First both at work and in the wider community. Our partnership with Safe Drive Stay Alive illustrates this commitment perfectly. “Safe Drive Stay Alive doesn’t pull any punches in showing young people the reality of the consequences of road collisions. The real life testimonies of those affected is a moving and powerful way to drive home the importance of Safety First on our roads. 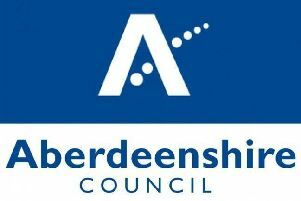 Chair of the Aberdeenshire Community Safety Partnership, Margaret-Jane Cardno, said: “It’s really hard to state the influence this show has on the young people who see it. They really do walk away with a heightened sense of awareness of the risks associated with driving. “Even if we’ve only saved the life of one driver, passenger or pedestrian over the years, I know it’s been worth all the effort and emotion that goes into making it so powerful. “We are lucky enough to have many people volunteer their time, expertise and experience to make this show happen, but we still need to cover a number of costs to keep it running. This year’s show is planned for November and will see another 5,000 pupils from Aberdeen City, Aberdeenshire and Moray attend. A free evening show for the general public is also held every year. By combining real life experiences with an emotive film, the show leaves the audience in little doubt how a mistake or lapse in concentration can change lives forever. Safe Drive Stay Alive Grampian is a partnership between Aberdeenshire Council, Aberdeen City Council, Moray Council, Police Scotland, Scottish Ambulance Service, NHS Grampian and the Scottish Fire and Rescue Service. For more information about sponsoring Safe Drive Stay Alive or to have a conversation about how you could contribute, in the first instance please email sdsa@aberdeenshire.gov.uk.